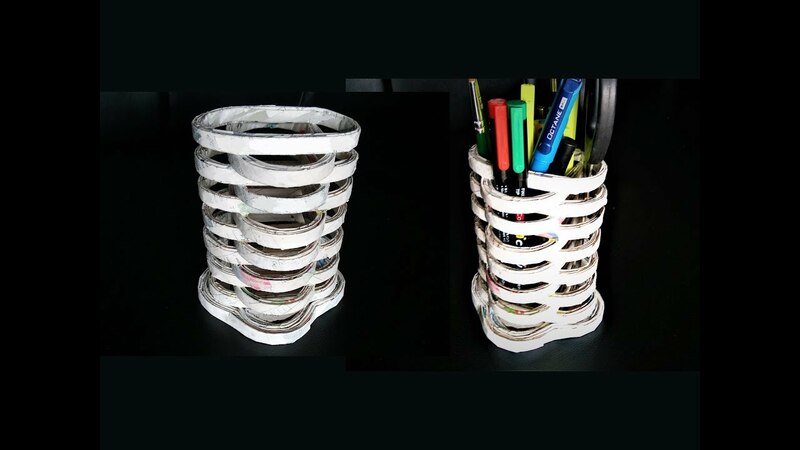 It is interesting to make your own pen holder using ice-cream sticks. Just you try it. Materials: Instructions: 1. 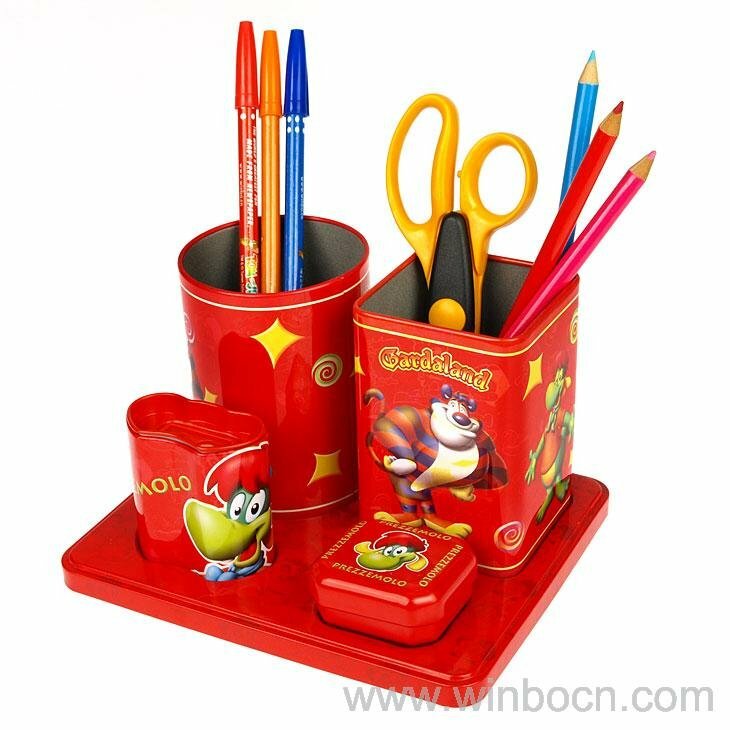 First you decide the width of your pen stand and strick the ice-cream sticks together as shown above. 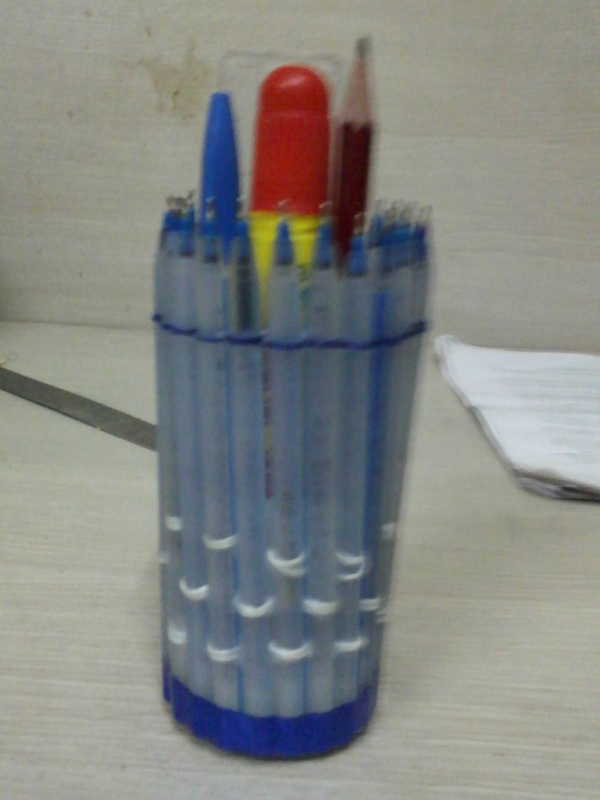 (You can select your pattern for your pen holder.I have placed them vertical) 2. Take a thermocol sheet or cardboard, And cut it to the required size as to form the base of the... Yeah the only thing we will need to make this pen stand is empty lead boxes. (No, Not that lead ! ). These are the small boxes in which we get pencil leads. Ok look at the picture for better understanding. The materials required to make this basket are , Cut out 8 strips of paper of length 10 " and width is1/2" . Cut out 4 strips of paper of length 11 " and wdth same 1/2".